“The best things in life are free.” = Give away stuff. 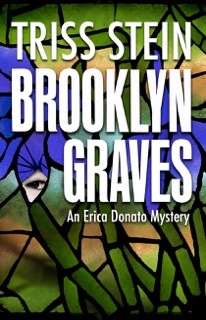 I enrolled my new cozy mystery in KDP Select and used their Free Book Promotion tool. By placing announcements in bargain newsletters like Awesomegang, Ebookasauraus, and Readcheaply (for free), I gave away thousands of copies. Although I didn’t earn a dime on those downloads, my Amazon ranking shot up and resulted in increased sales, Kindle Unlimited borrows, and reader reviews. If you’re not interested in KDP Select, you can use Goodreads or Amazon Giveaway to create book buzz. Everybody enjoys freebies. I like creating literary souvenirs (e.g. bookmarks) and wrapping gift baskets. These physical promotional items have brought me increased exposure at author readings, writing conventions, and on book blogs. “Birds of a feather flock together.” = Join a group. It’s helpful to connect with authors who write in your genre. I’m really happy to be a part of Sisters in Crime. The group has given me insight into the mystery industry and provided connections to fellow writers, who have offered invaluable marketing tips and support. I’ve been involved with smaller publishers who’ve taken the time to build up a community for their authors. These fellow scribes often offer cross-promotional activities. I’m proud to be a part of Binders and Wordsmith Studio. Online writing buddies are masters of social media and spread the word in the virtual realm. They’re also quick to offer feedback on writing questions and provide a great venue for crowdsourcing. “Jack of all trades, master of none.” = Show your uniqueness. Since I’m an Asian-American writer, I like to find press opportunities that offer cultural coverage. Reporters at these newspapers and magazines are more likely to follow up with me. For example, I’ve been featured in Asian American Press, World Journal, Pacific Times, and Northwest Asian Weekly. My debut novel featured a Taiwanese-American family. As such, I’m able to connect with groups like Taiwanese American Professionals and North America Taiwanese Women’s Association and go to their special events. I’ve sold many copies at these outings. My first book was inspired by Taiwan’s history—specifically, The 228 Massacre. I’ve been invited to speak at annual memorial events every year since my book has been published. I hope you find something useful from these reflections. Now “go the whole nine yards” with your marketing efforts. Jennifer J. Chow, an Asian-American writer, holds a Bachelor’s degree from Cornell University and a Master’s in Social Welfare from UCLA. Her geriatric work experience influences her stories. She lives in Los Angeles, California. 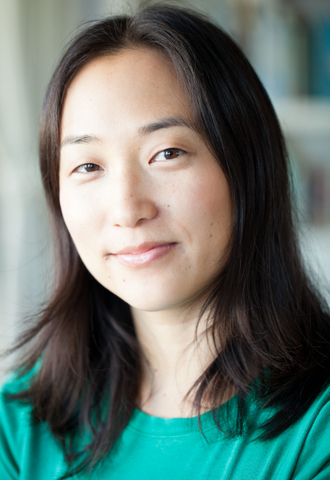 Her debut novel, The 228 Legacy, won Honorable Mention in the 2015 San Francisco Book Festival and was a 2013 Finalist for Foreword Reviews’ Book of the Year Award. She also writes the Winston Wong mysteries under the name of J.J. Chow. 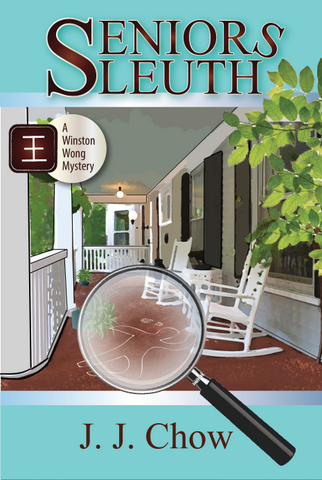 The first in the series, Seniors Sleuth, won Runner-Up in the 2015 Beach Book Festival. Winston Wong used to test video games but has left his downward spiraling career to follow in the footsteps of Encyclopedia Brown, his favorite childhood detective. 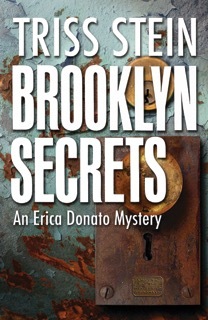 When the Pennysaver misprints his new job title, adding an extra “s” to his listing, Winston becomes a “Seniors Sleuth.” He gets an easy first case, confirming the natural death of a ninety-year-old man. However, under the surface of the bingo-loving senior home is a seedier world where a genuine homicide actually occurred. Winston finds himself surrounded by suspects on all sides: a slacker administrator, a kind-hearted nurse, and a motley crew of eccentric residents. To validate his new career choice (and maybe win the girl), he must unravel the truth from a tangle of lies. 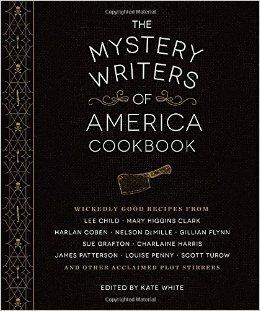 This cookbook contains more than 100 recipes, from breakfast to cocktails, great photography and commentary from legendary authors and fun mystery facts. This book will make a wonderful gift for some lucky friend if you can bring yourself to let go. You might as well just order two because once you see this recipe book you won’t want to let go of it. The introduction includes a reminder of the murder weapon used in Roald Dahl’s 1953 short story “Lamb to the Slaughter”. The proceeds of the sale of this cookbook go to MWA, an organization founded in 1945 and dedicated to promoting higher regard for crime writing and recognition and respect for those who write within the genre. MWA sponsors the annual Edgar Awards named for Edgar Allan Poe and considered the Academy Awards of mystery writers. Breakfast includes recipes ranging from Ellie Hatcher’s Rum-Soaked Nutella French Toast to Max Allan Collins and Barbara Collins Holiday Eggs. Richard Castle gives us his recipe for Morning-After Hotcakes. For the Appetizer section Nelson DeMille has contributed Male Chauvinist Pigs in the Blanket. This is followed up by Kate White’s A Very Sneaky Bean Dip. There are a number of excellent sounding appetizers to choose from. The Soup and Salad section contains several recipes that I would like to try right now. Kate White gives the reader a very good definition of “What Exactly Is A Red Herring?” This refers to a Red Herring in a mystery and not in a recipe. There is a large section of entrees headed up by David Morrrell’s Thomas De Quincey’s Pasta -Less Pasta. I won’t tell you what takes the place of the pasta so you will need to get the book. 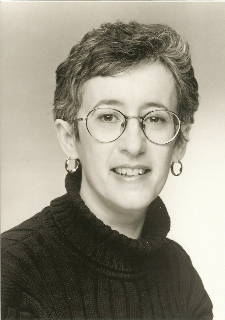 I am sure everyone will want Sue Grafton’s Kinsey Millhone’s Famous Peanut Butter and Pickle Sandwich. The book contains a chapter on Side Dishes, Desserts and Cocktails. The book contains Metric Conversions which is a very helpful addition. I haven’t named many of the authors in this review but there are so many I know every reader will find at least one favorite author. Lee Child presents very exact instructions for making Coffee, Pot of One. The recipe even includes the type of coffee and mug to use. You can’t go wrong with this cookbook. There is a little bit of everything included and some insight into the likes of many of your favorite authors. When Kindle Scout first appeared in October 2014, it was dissed by many publication professionals as an inexpensive way for Amazon to make more money from authors. Many authors, including me, disagreed that authors could not benefit from the new program. The Kindle Scout program provides authors who planned to self-publish a hybrid alternative. If Kindle Press accepts your book, they provide a $1,500 advance for worldwide electronic rights and digital audio rights. [If you are interested in the particulars you can find out more about the Kindle Scout program here and the specifics of the contract here.] Skeptics point out Amazon was cherry-picking and that authors were shackling themselves to all the disadvantages of limiting ebook distribution to Amazon without the higher royalties of the KDP program. These are valid points; however, critics almost uniformly missed one of the huge positives of the program: increased exposure. I believe my writing is sufficiently strong that if I can get people to read my novels, they will become series fans. The problem, of course, is how to get people to read my book rather than some other equally talented unknown? One approach that worked in the past was to self-publish a book whose primary purpose is to attract attention—a loss leader. Giving free ebooks to thousands of people recognizes that if even a small percentage become fans and buy others of the author’s works, it can produce long-term positive readership increases and financial rewards. Organizations such as Bookbub have been so successful building their lists of readers that they have been able to increase prices authors (or their publishers) must pay ($400 for a free mystery). They have also become very selective. Anecdotally, I hear Bookbub is now rejecting the vast majority of Indie authors; the deals are going to mainline publishers and Indie authors who have already made it. A tried-and-true path to increasing readership has suffered a rockslide. Some can get past, but many are stymied. Kindle Scout appeared to me as a hybrid approach to self-publishing. On the downside, I would give up pricing control, timing control, access to other electronic outlets besides Kindle, and control over digital audio. Royalty rates are lower than through KDP. Balancing that, if I won a contract I would receive a $1,500 advance and benefit from Amazon marketing. The kicker for me was that regardless of whether I won or not, I would receive thirty days of free publicity as part of the Kindle Scout nomination process, which works like this: You must have a complete, copyedited, novel of at least 50,000 words, and you must have a well-designed book cover. (All of which you need anyway to self-publish.) If the Kindle Press folks accept your book, it is displayed for a thirty-day nomination period. Readers (“Scouts”) can see your cover, read your logline, your bio and a few Q&As, and are provided the beginning of your novel (about 5,000 words). If they like what they see (or like you), they can nominate the book. If Kindle Press decides to publish the book, they will then receive your novel as a free Kindle ebook. From a marketing standpoint I thought this has a number of advantages. During the 30-day nomination period, I could reach out to all my connections and be able to talk about Ant Farm, my Kindle Scout nominated book. Those interactions were partial self-promotion, but also provided a potential benefit for the readers—a free ebook from someone they knew, or had at least heard of. That made it easier to promote the book. I printed color handouts (to show off my great book cover) with pertinent information that I could hand to people I met (church, bridge club, neighborhood gatherings, etc.). The personal touch allowed me to find out if they read mysteries, who their favorite authors were, maybe even provide them suggestions of other folks they might like. And of course, when they asked, I could tell them about my novels. Friends forwarded my emails or social media posts to their friends, extending my networking. The Amazon Scout display has a category “Hot and Trending” (see here for the current list) that includes roughly the top 20% of the current batch of candidates. Many Scouts check out these books first. By spreading out my promotions, I remained in the “Hot and Trending” about 95% of the time, and Ant Farm gained exposure to a group of people I could never have reached on my own. It wasn’t in place when I participated, but now, even if a book does not win, those people who nominated it are offered the option to learn when the book is self-published. 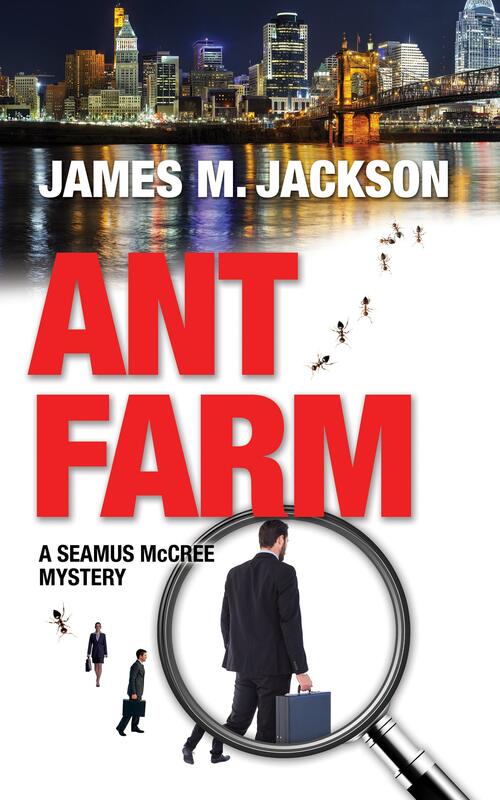 Ant Farm did earn a Kindle Press contract with a June 2015 publication date. The print version is also available. James M. Jackson authors the Seamus McCree novels. ANT FARM (June 2015), a prequel to BAD POLICY (2013) and CABIN FEVER (2014), recently won a Kindle Scout nomination. Ebook published by Kindle Press; print from Wolf’s Echo Press. 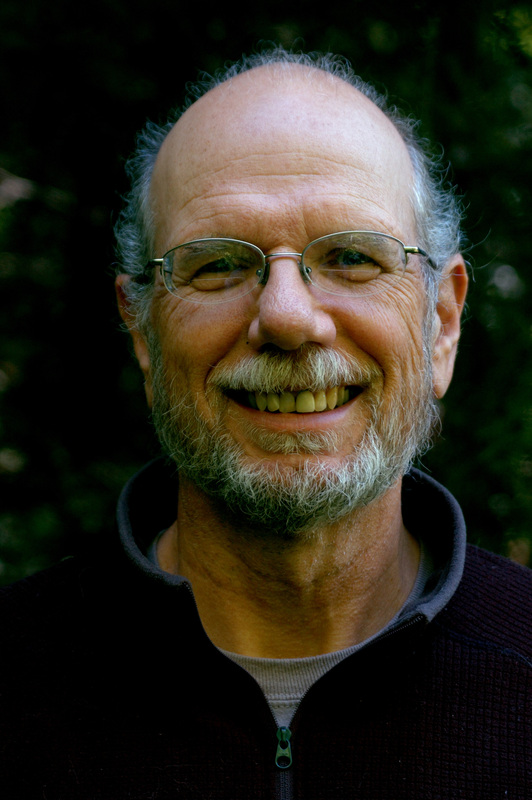 Find more information about Jim and his writing at http://jamesmjackson.com. Financial crimes consultant Seamus McCree combats the evil behind the botulism murders of thirty-eight retirees at their picnic outside Chillicothe, OH. He also worms his way into the Cincinnati murder investigation of a church friend’s fiancé and finds police speculate the killing may have been the mistake of a dyslexic hit man. Seamus uncovers disturbing information of financial chicanery, and in the process makes himself and his son targets of those who have already killed to keep their secrets.